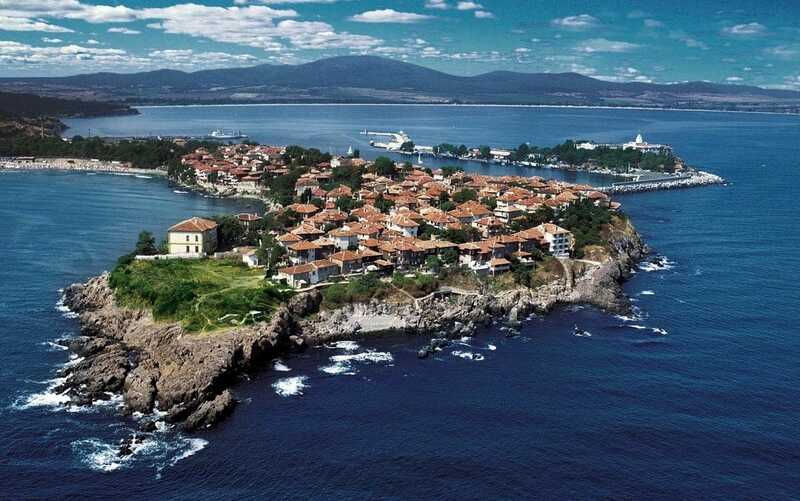 Sozopol (6000 inhabitants, 30-50 000 in the holiday season) is the most ancient town on the Western Black Sea coast. 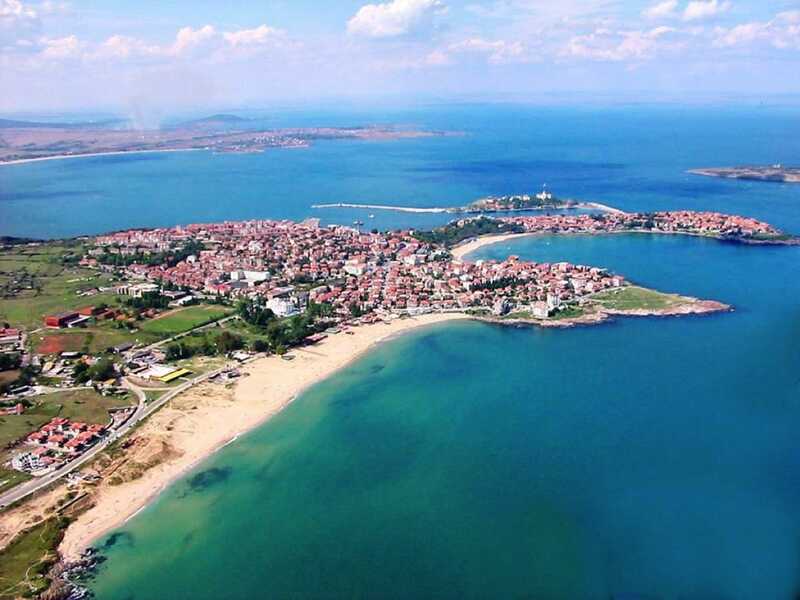 It is positioned on a peninsula on the southern part of the Bay of Burgas. The climate of the town is subtropical with breezy hot summers and mild but windy winters. Burgas International Airport (55 km), which functions throughout the whole year: by bus or car (approx. 1 hr). 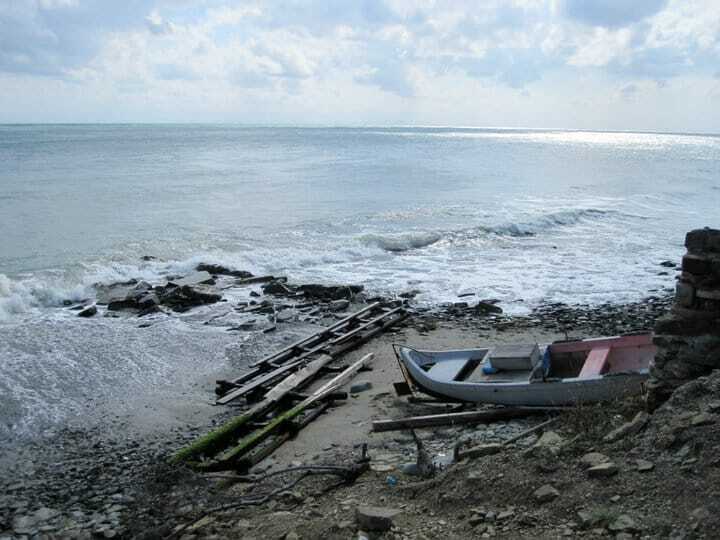 Archaeological finds indicate that the peninsula has been inhabited for more than six thousand years. The earliest site is dated to the Neolithic Era (5250-5000 BCE.) During underwater excavations in the waters of the modern harbour, archaeologists have found the remains of settlements from the Copper Age and Bronze age (4200-2500 BCE). During the Early Iron Age (end of the 2nd – the beginning of the 1st millennium BCE) the region was occupied by the Thracians. Herodotus mentions the name of a Thracian tribe, the Skirmiani, as the first to inhabit the peninsula and its surroundings. The Thracians were the first seafarers and miners to create a noteworthy culture in the region. 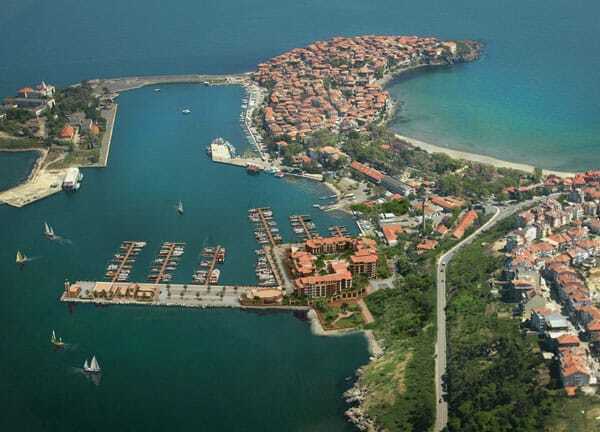 By the end of the 7th century BCE settlers from Asia Minor, from the city of Miletus, had founded one of the most impressive city-states on the western Black Sea on the Sozopol peninsula. The city, founded around 610 BCE, was named Apollonia Pontica, in honour of the patron-deity of Miletus – Apollo. The Ancient authors identify a philosopher named Anaximander as the founder of the city. Apollonia flourished as a city very early in its existence. It became an autonomous democratic polis possessing a large coastal territory and was an intermediary in economic exchanges between Ancient Greece and Thrace. With its flotilla and easily defended ports, Apollonia took control of the merchant road Via Pontica. By the end of the 6th century BCE, Apollonia started to produce its own coinage. Ancient Apollonia had the likes of the classical urban center with monumental public buildings, defended by strong city walls. Ancient authors mention the temple of Apollo which stood at the center of the city, decorated with a 13-meter high statue of the god and unique outside of the territory of the Greek city-states. Epigraphic monuments testify that there were in the city temples dedicated to Dionysus, Poseidon, Gaya, Syrian Aphrodite and Hecate. During the 5th and 4th centuries BCE the town flourished because of its political links with Athens and the Odrysian kingdom of Thrace. Apollonia preserved its independence during the campaigns of Phillip II (342-339 BCE) and Alexander the Great (335 BCE). During 72 B.C., the city was conquered, pillaged and burned by the Roman legions of Marcus Luculus. The victors took back to Rome a most prized trophy: the statue of Apollo. The Apollonians were able to shake off the terrible consequences of the destruction of their city and rebuild its walls and temples under the patronage of a rich Thracian called Metok, son of Tarulas. Despite its determination, the city was unable to return to its former glory which had made it famous around the Ancient world as Apollonia Magna. The necropolis of the Ancient city is positioned outside its walls, along the sea coast. The high ground nearby is covered by funerary tumuli. This part of the coast of Sozopol is its most important archaeological site today, dating to the 5th – 2nd centuries BCE. Here archaeologists have discovered many Greek vases, funerary reliefs and ceramic statuettes. The most substantial collection of Greek vases is kept at the local museum of Sozopol. Some decorated vases from Apollonia are part of the exhibitions of the Louvre, the Hermitage Museum, and the Museum of Pergamon. The city of Apollonia continued its existence as an important seaport after the conquest of Thrace by the Romans. 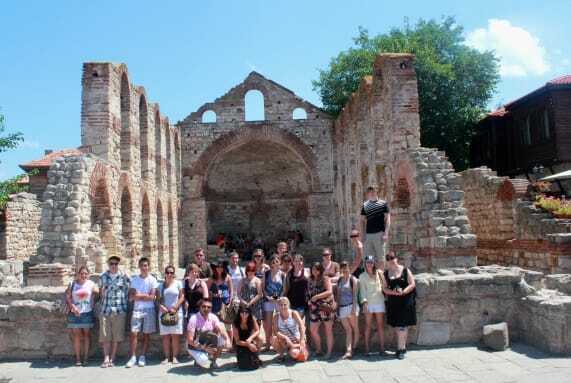 Its geographical proximity to the eastern Roman provinces was favourable to the spread of Christian ideology. As early as 170 CE sources mention the name of Apollonia’s bishop. With the establishment of Christianity as the state religion (313 CE) and the division of the Roman Empire (395 CE), the name of the city was changed to Sozopolis (city of salvation). Sozopolis became a major administrative center in the region. The Barbarian invasions during the 5th century CE caused the city to build new defensive walls, And sections of these walls are still fragmentarily preserved at the south-eastern part of the peninsula. After the founding of the Bulgarian state, Sozopol, together with other coastal cities, remained in Byzantine territory. It was included in the limits of the Medieval Bulgarian Empire when it was taken by the Bulgarian Khan Krum in 812 CE. 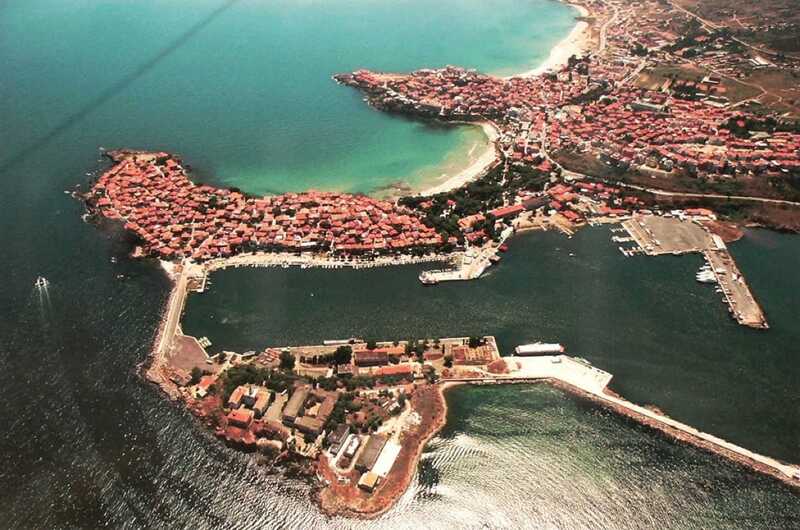 The significance of Sozopol as a cultural and administrative center grew during the 8th and 9th centuries CE. In Byzantine chronicles it is described as a “rich” city with “many people”. 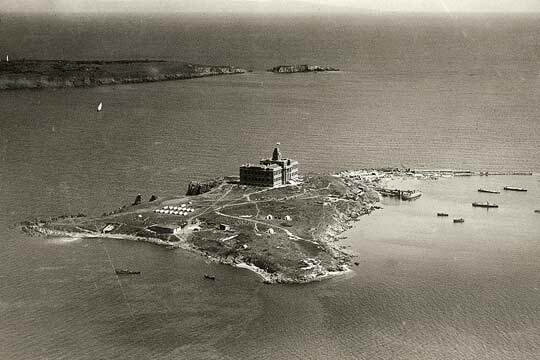 Monasteries grew both inside and outside the limits of the city,the most imposing of these monasteries being Saint Ivan (John) Precursor, situated on the island of Saint Ivan. In 1352 and 1366 the city and the monastery were pillaged by the Venetians and by the knights of Amadeus of Savoy. Forty-five codexes from the library of the monastery survived destruction by the Ottomans in the 17th century, and many are preserved today in the library of the Vatican. The medieval town of Sozopol had more than 20 churches. 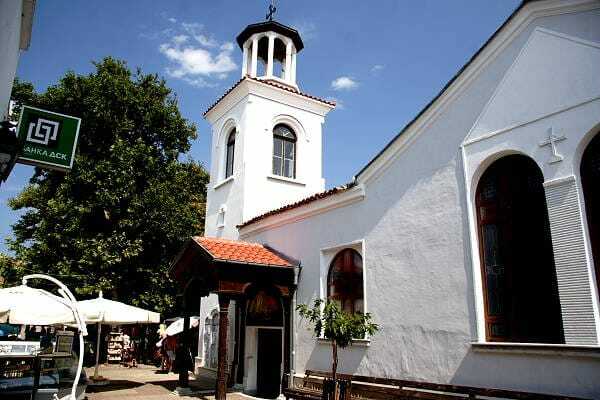 The names of two bishops from Sozopol, chosen as patriarchs of Constantinople– Ioan XII Kozma and Nil – testify to the importance of the town as a cultural and religious center during that age. The cultural, economic and political revival of the town continued under the rule of the Bulgarian Tsar Ivan Alexander (1331-1371), as indicated by the large number of coins minted by this ruler found in archaeological excavations in Sozopol. To this day the ruins of the monumental buildings of the monastery are preserved on Saint Ivan’s island, as well as a basilica in the center of the city and the town’s walls. Bulgaria was conquered by the Ottoman Turks at the end of the 14th century, and Sozopol itself was taken by the Turks in 1453. The Old Town is still characterized by a hundred houses built in the manner typical of the Bulgarian Renaissance architecture. A few churches and 18 chapels from the 15th century are still preserved, built on the ruins of medieval temples. In these holy places the icons painted during the 18th-19th century by the master-painters from Sozopol are preserved. The most impressive artifact from that time is the iconostasis of the church of Saint Mother of God (Bogoroditsa) produced by an unknown woodcutter by the end of the 18th century. Sozopol was liberated in 1878 during the Russo-Turkish war. As a modern town, Sozopol has developed into a tourist center, receiving thousands of tourists to the charming Black Sea coast every summer. 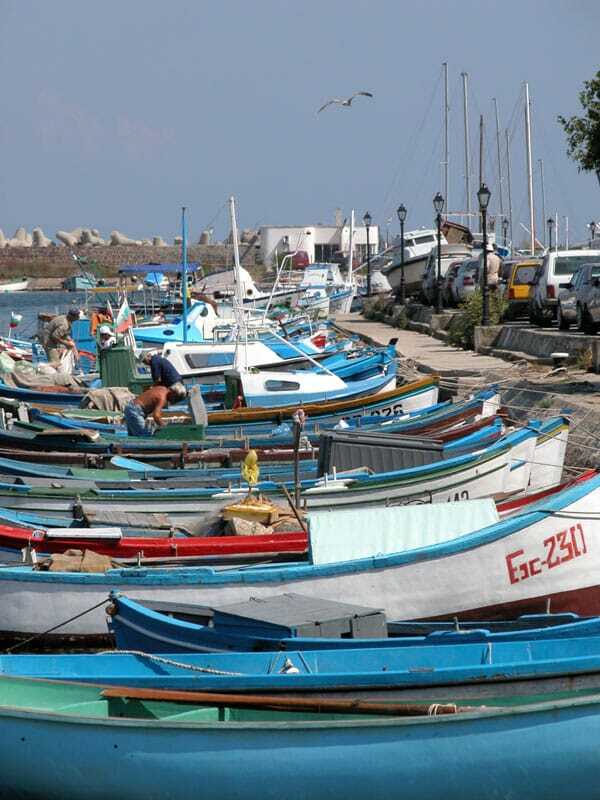 The town’s holiday is on the 17th of July and is dedicated to its patron Saint Marina. 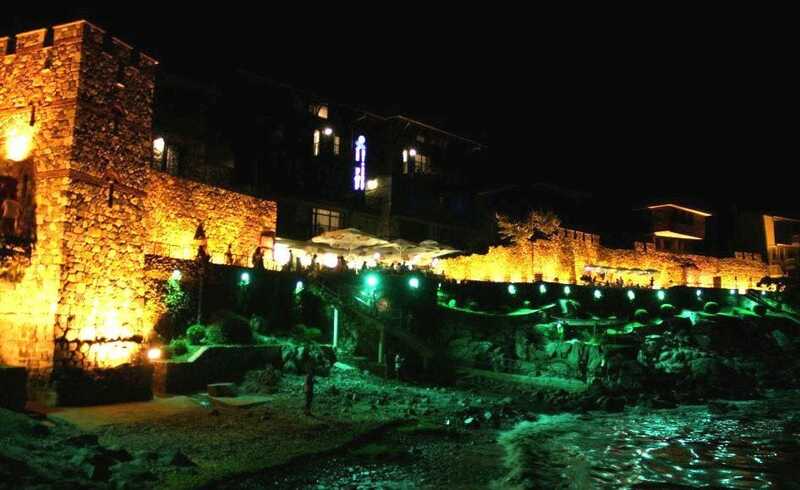 At the beginning of the month of September, Sozopol becomes Bulgaria’s cultural capital, when the yearly festival of the arts “Apollonia” takes place. 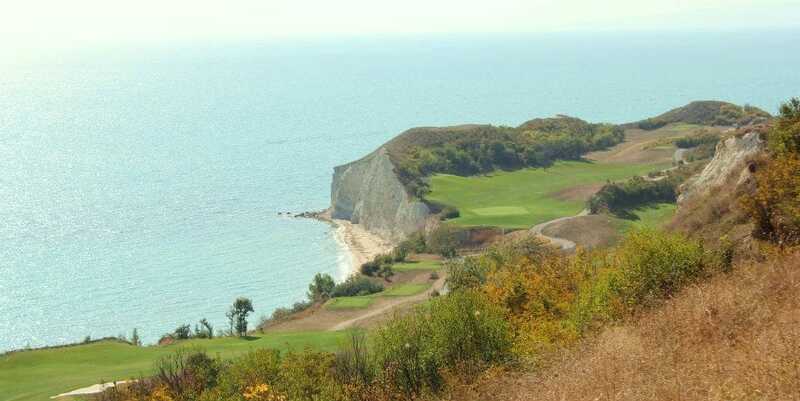 The charm of the millenary town and the romantic atmosphere of the southern coast of the Black Sea combine for a unique experience. 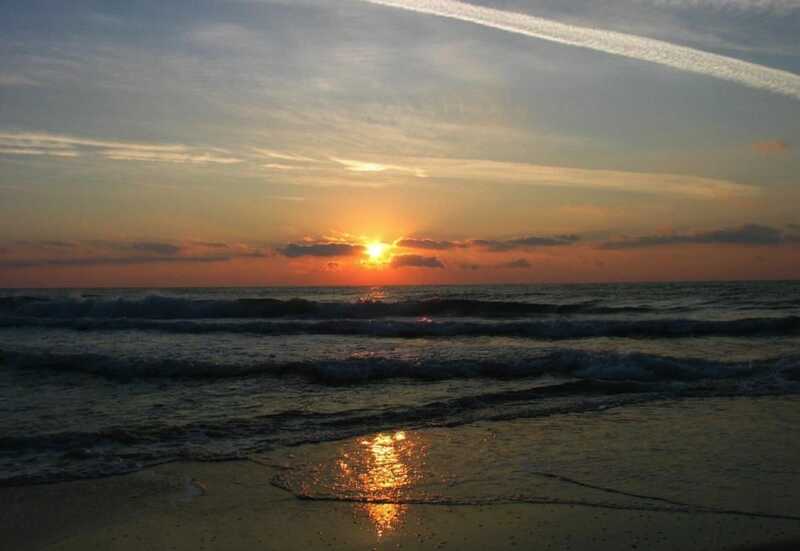 The town offers all the connections and services required for a pleasant stay as well as nice shopping areas, crowded streets with town cafes and attractive opportunities for nightlife and sports. 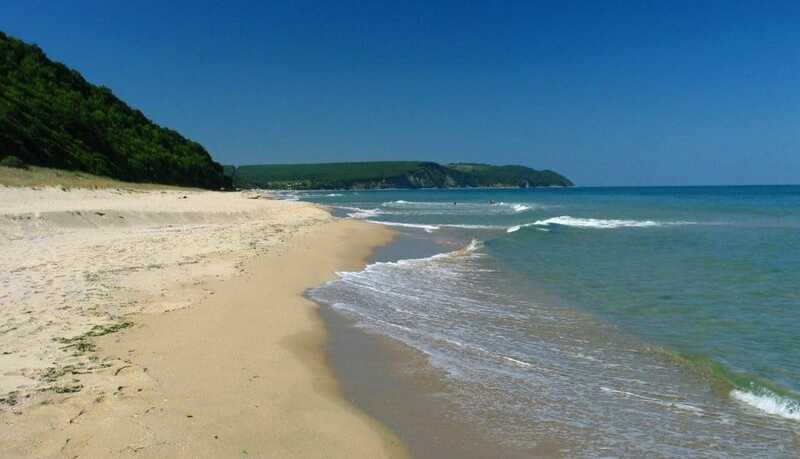 Ropotamo River Forest and the Veleka mouth are among the most beautiful places along the Bulgarian Black Sea coast.